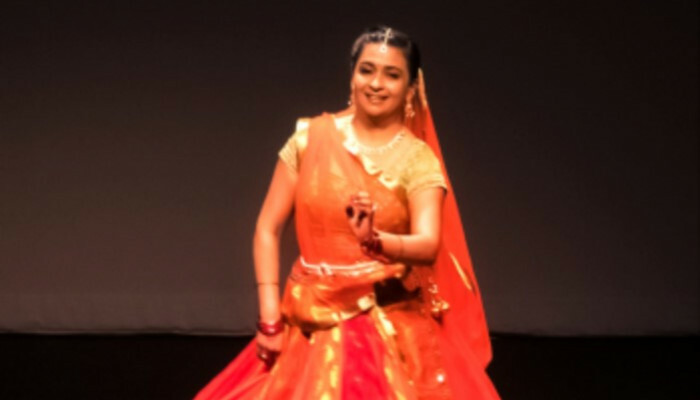 Guru Smt.Roshan Datye from Nrityabharati Dance Academy. NrityaVarsha Dance Academy student was selected as one of the winners in Staar Kalaakaar Houston 2017, dance competition. Kathak Performance for the Austin Spurs Basketball game February 2017 at the H-E-B Center, Cedar Park. Choreographed Kathak dance on Natrang from film Natrang. Choreographed and performed a Kathak group dance at the South Asian Festival, Zilker Park on the music “Navras” from the movie Matrix Revolutions. A Key performer in various classical dance segments including Bharatnayam and Kathak at the fundraiser, Jazz Yatra on March 22nd 2008, for the Sahara organization for distressed women. Performed a Bollywood medley for Maharashtra Mandal of South Florida2006. Choreographed and performed a remix Bollywood dance at Florida Atlantic University, Annual Festival of 2006. Choreographed and performed a Goa dance, “Me hai koli”, at the Association of Americans in India, South Florida Chapter (AIA), Independence Day Festival 2006.